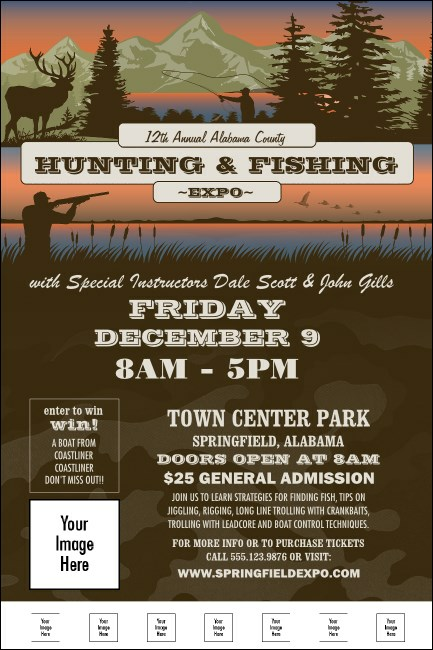 Hunters, fishers and lovers of the great outdoors will jump for joy when they see your event advertised on the Fishing and Hunting Expo Green Camo Poster. This template is printed with plenty of space for images of your exhibitors and vendors. Attract attention of attendees with a camouflage background and images of sportsman and wildlife in their natural habitats. Bring your event together with a matching event kit from TicketPrinting.com.